How much do Dodgers suites cost? How much are Los Angeles Dodgers suites? 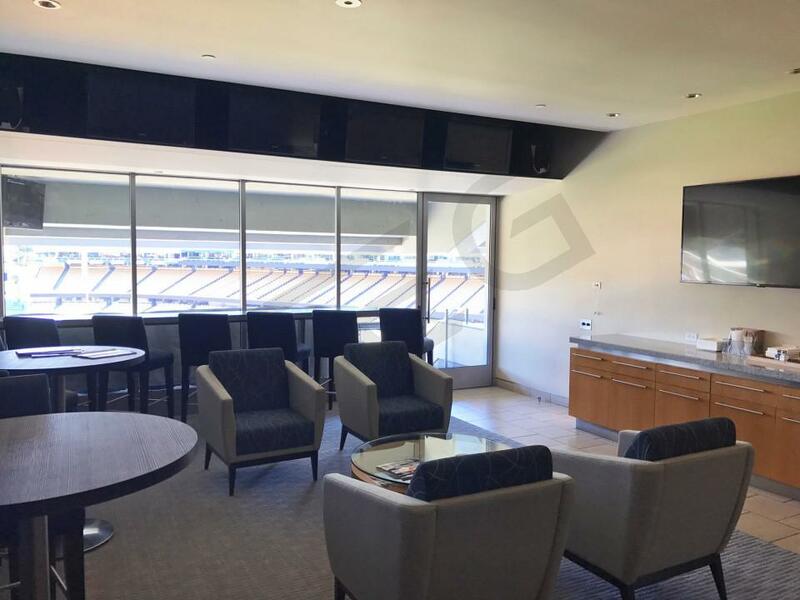 Fully private suites at Dodger Stadium generally cost between $5,000-$17,000 per game. 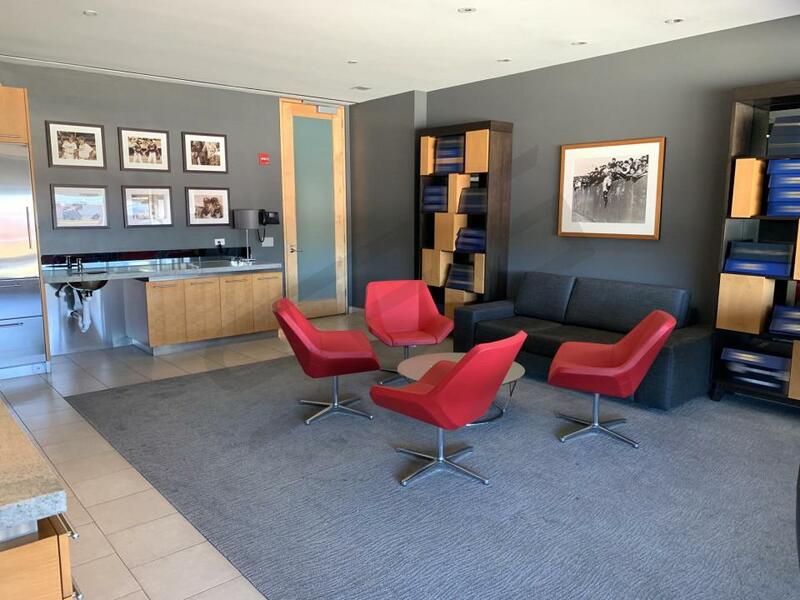 Suite pricing will vary based on opponent, day of the week, suite size, and suite location. 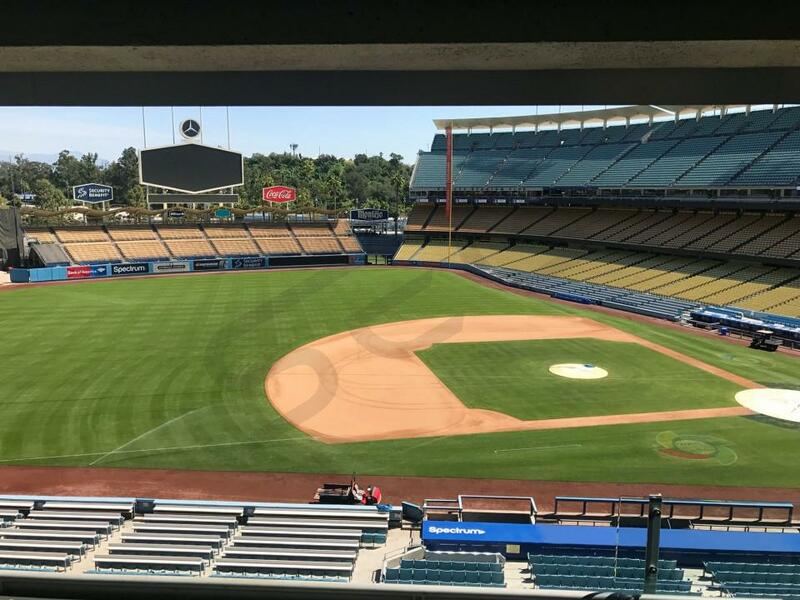 Suite pricing will vary widely for concerts and other events at Dodger Stadium. 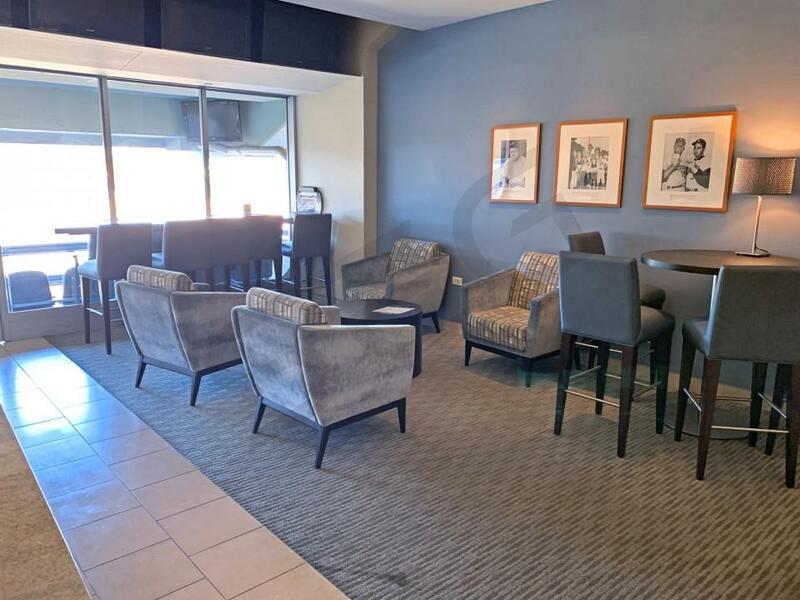 Dodgers suites include premier indoor and outdoor seating, in-catering options, HDTV's, and dedicated suite attendant. 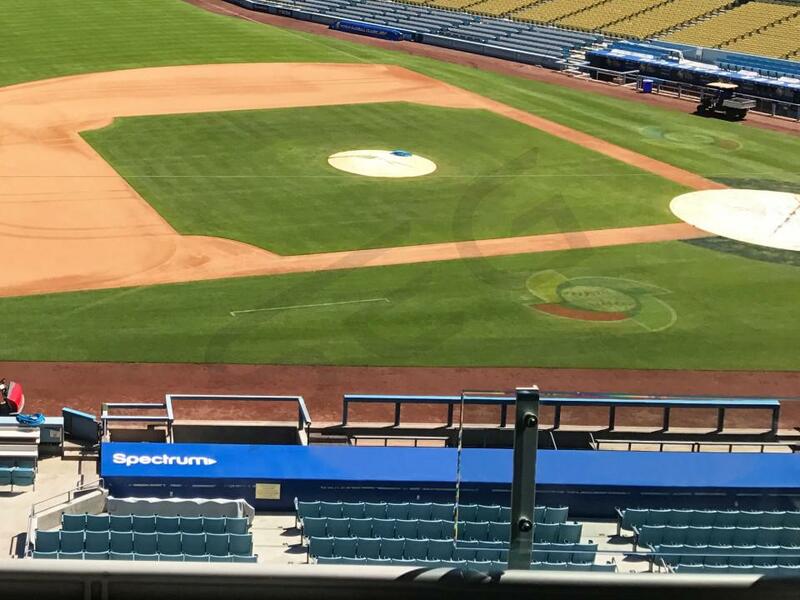 Get a view of Dodger Stadium from one of the best located suites in the park. The Dodgers' Dugout Club features an all-you-can-eat upscale buffet. Non-alcoholic beverages are included and alcoholic beverages can be purchase at an additional cost. The buffet is feet away inside the exclusive Dugout Club. These seats are right near home plate giving fans an up close look at the players. The seats are elevated enough from the field giving you an amazing vantage point of Dodgers' baseball. With the 6 tickets, you will also receive 3 VIP parking passes. 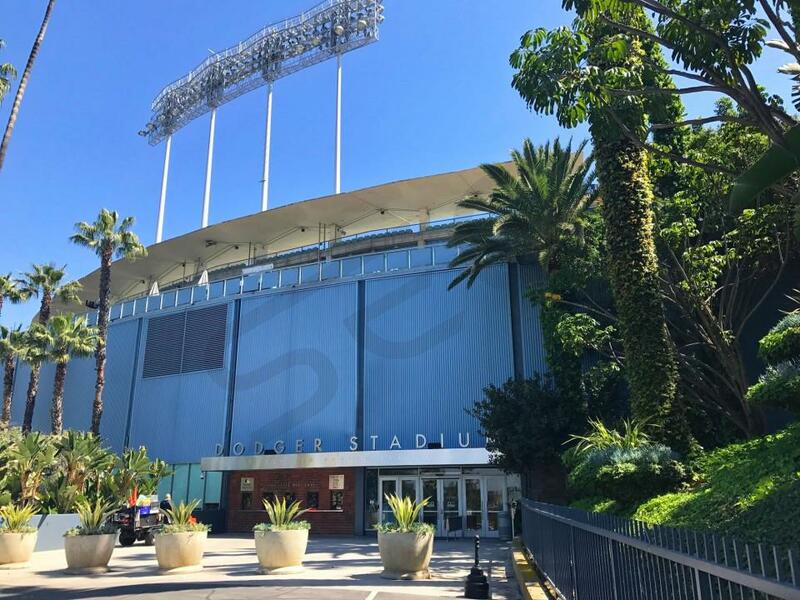 This section contains additional information, tips, and suggestions for planning or hosting an event at the Dodger Stadium. Dodger Stadium has one suite level; the BMW Club Level. Suite capacity at Dodger stadium will generally range between 20 and 30 guests. Larger party spaces (for 50+) are also available. The BMW Club Suite Level at Dodger Stadium wraps from 1st Base to 3rd Base producing fantastic views of the playing field. 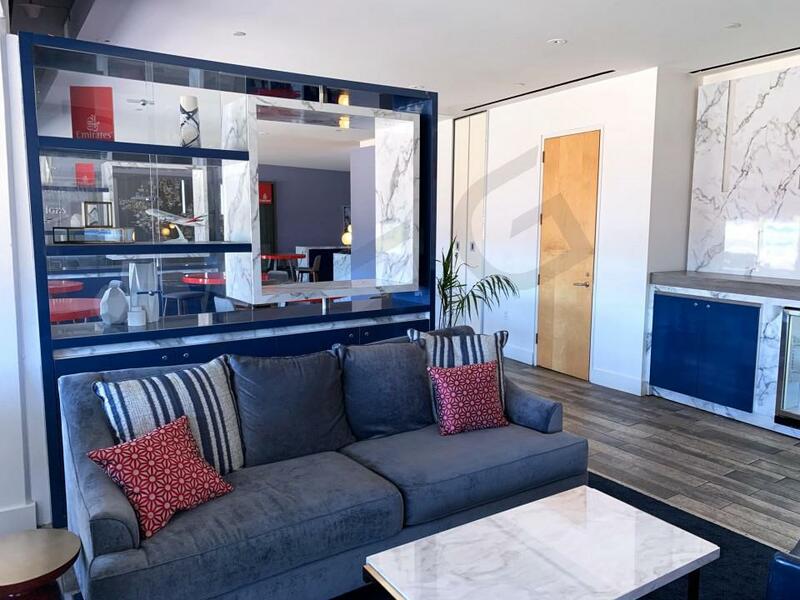 Dodger Stadium suites were completely renovated in 2016. 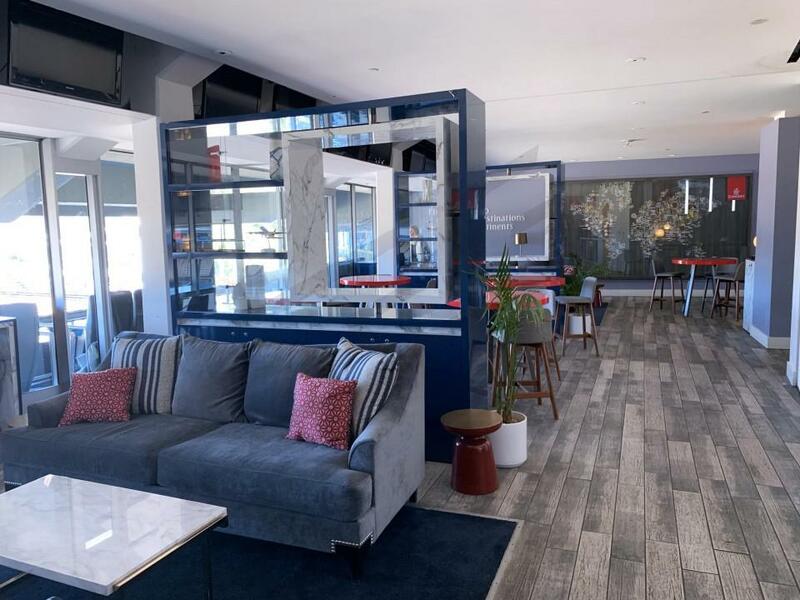 Luxury suites provide a spacious environment featuring a combination of fixed plush seating, lounge chairs, couches, and high-top barstool seating. 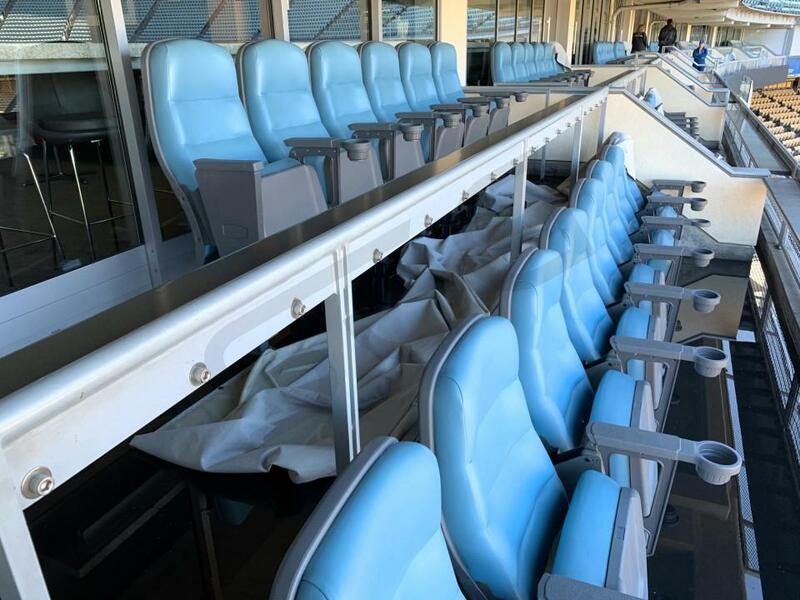 Fixed leather seats are located just outside the suite facing the field. Behind the fixed seats is a retractable glass partition and an elongated high-top table situated with high-top chairs facing the field. Luxury Suites will also feature an assortment of lounge-style seating along with an upscale kitchenette, community island, and HDTV's. Restrooms are located just outside of the suite on the private BMW Club Suite concourse. 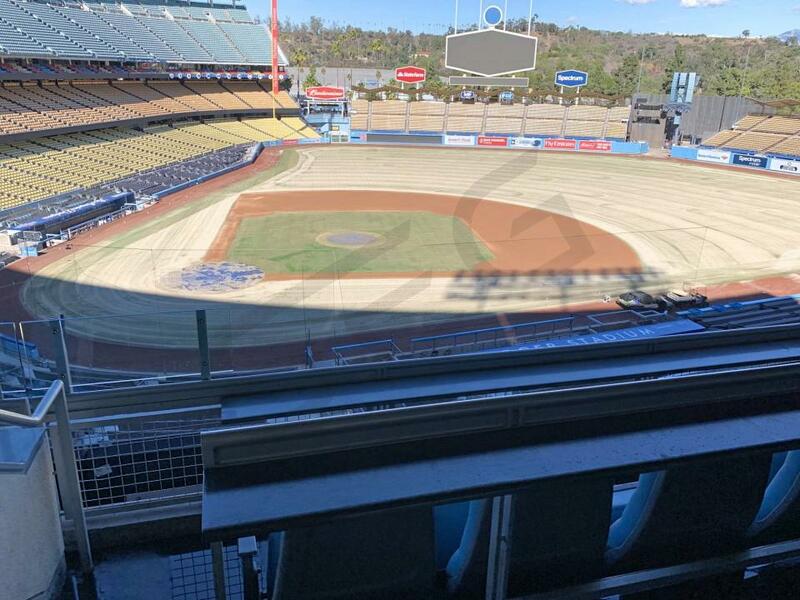 Cost for a private suites at Dodger Stadium varies depending on size, suite location, matchup, and day of the week. Most Dodgers games typically range from $4,000-$7,500. All suite ticket holders have complimentary access to the Stadium Club. The Stadium Club is a full service restaurant and bar. If available, guests can sit at tables along the first baseline rail for a great view of the game. There is no required dress code for luxury suites. Suite guest attire is similar to attire worn outside of the suites - some fans are dress casually while others are dressed in more business appropriate attire. BMW Club Suites at Dodger Stadium come with VIP Parking Passes. Passes will be located in either Lot A or Lot K. Lot A is located on the first base side of the field while Lot K is located on the third base side of the field. Unlike general parking passes, VIP Parking Pass holders can enter and exit the stadium parking areas through any entrance. This is a huge time saver as most gameday general parking traffic is routed through one central entrance. VIP entrances open 2 hours before first pitch for Dodgers games. Suite guests may remain in their suites for up to an hour following the conclusion of the game or event. Two VIP entrances are located just next to the VIP Parking Lots A & K. Upon entry, guests can take the elevator up to the BMW Club Level. Please visit our general Frequently Asked Questions page. Also feel free to Contact Us as we are always happy to assist you. The 2019 Los Angeles Dodgers gear up for another run deep into October. Last season, the Dodgers lost in the World Series but, once again, dominated the NL West for the sixth straight year. This season there will be some new faces in the clubhouse and a few key players no longer with the team. The most notable move in the offseason was the trade that sent Yasiel Puig, Matt Kemp, and Alex Wood to the Cincinnati Reds. It was a cost-effective move for the Dodgers in which they also acquired promising prospects. The other exciting offseason transaction that has the Dodger fanbase buzzing is the signing of outfielder AJ Pollock. While the Dodgers have their veteran stars to rely on like Clayton Kershaw and Justin Turner, the rest of the roster is filled out with promising young players. Third baseman Corey Seager is looking to pick up where he left off before missing last season due to an injury. Cody Bellinger, Max Muncy, and Joc Pederson all look to make big strides in their careers in 2019. Dodgers fans should also get an opportunity to see outfielder Alex Verdugo get his full shot as a starter. On the pitching mound, the Dodgers of course have Kershaw leading their rotation but pitchers like Walker Buehler and Ross Stripling look to cement themselves in the rotation for years to come. 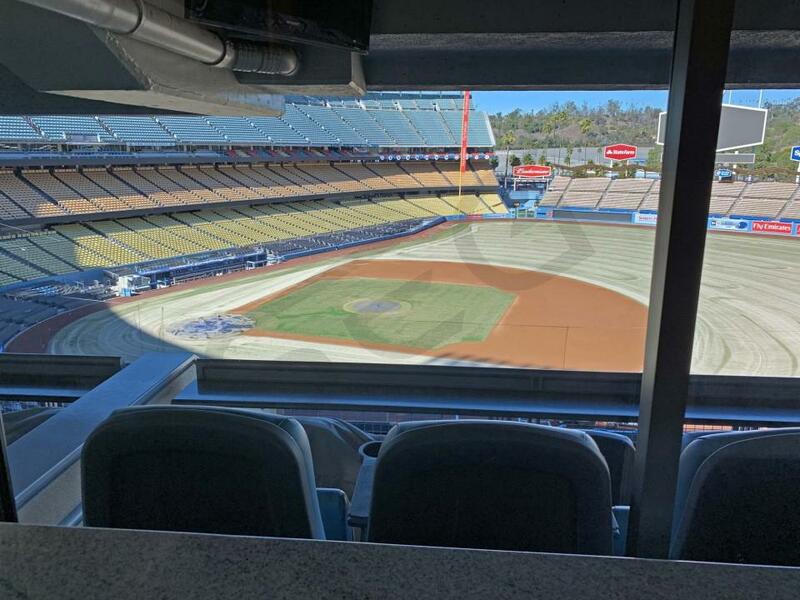 Dodger Stadium will be rocking with cheers in 2019 and there won’t be a better spot in the stadium to cheer on the Dodgers than from a private luxury box. 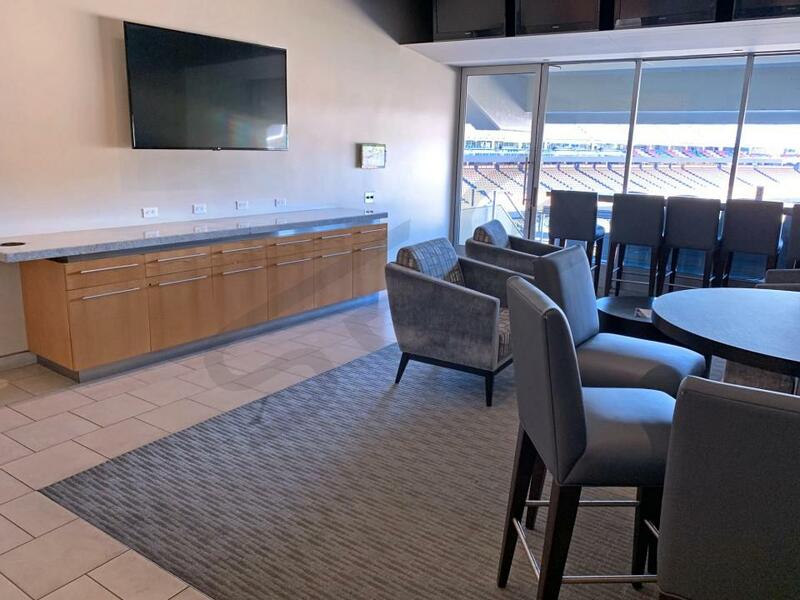 Suites at Dodger Stadium will accommodate groups of 20 or 30 people. With a suite for a Dodgers game, guests will receive VIP parking passes, a suite attendant and exclusive access to VIP Club areas within Dodger Stadium. All the 20-person BMW Club Suites will be located within the infield. All the 30-person suites start after first and third base to the foul poles. Dodger suite prices for 2019 will vary by the game but range from $5,000-$17,500. A 20- or 30-person suite will be the same price for any game. The reigning NL champs expect to be right back where they were last year: the World Series. Last season the Dodgers fell short in a classic seven-game World Series to the Houston Astros. In 2018, Magic Johnson, Dave Roberts, and the Dodgers hope to provide Hollywood with a different ending. Offensively, the Dodgers have plenty of firepower and depth. Cody Bellinger and Corey Seager, who each won the NL Rookie of the Year award the past two seasons, will look to improve upon their sensational young careers. 2017 NLCS co-MVP’s Justin Turner and Chris Taylor provide consistency at the top of the order. And in right field, Yasiel Puig continues to be one of the most unpredictable and entertaining athletes in all of sports. Puig Your Friend! On the mound, Clayton Kershaw will look to continue his unbelievable career. You don’t want to miss one of the best pitchers in baseball history perform during the prime of his career. Following Kershaw, Rich Hill, Alex Wood, Kenta Maeda, and Hyun-Jin Ryu make up one of the deepest and most talented rotations in the majors. In the late innings, Kenley Jansen has established himself as an untouchable closer. His ability to shut the door at the end of games is a huge asset for manager Dave Roberts to utilize. Dodger Stadium, located in the heart of the Chavez Ravine, is one of baseball’s premier venues. 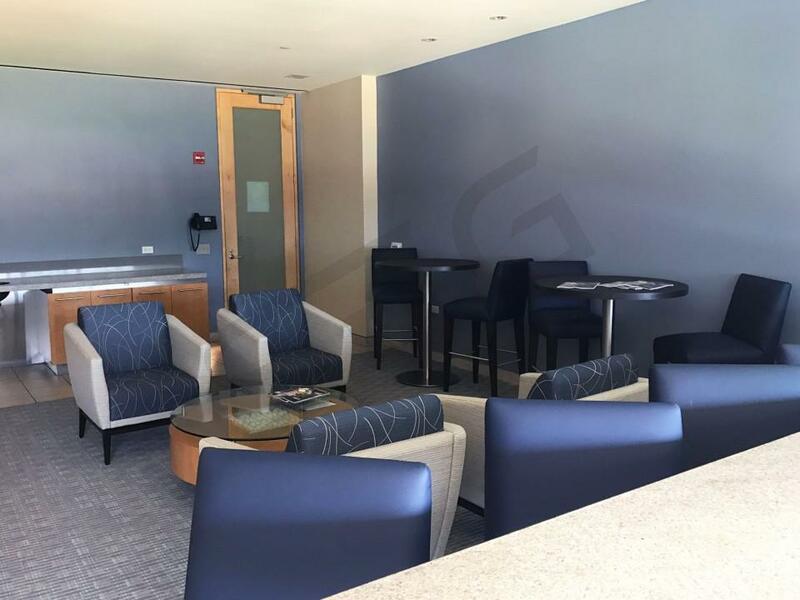 Luxury suites at Dodger Stadium are the perfect place to enjoy a game with your best clients, employees, family, or friends. BMW Club Suites at Dodger Stadium include 20 or 30 tickets, 8-10 VIP parking passes and exclusive access to stadium clubs. Guests will also be able to choose from a wide range of premium in-suite catering options. 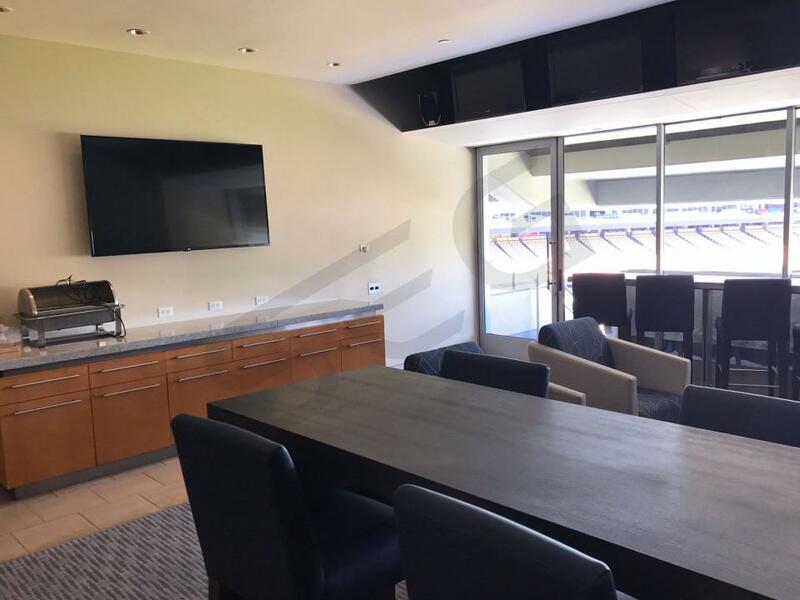 Suites contain Wi-Fi, HDTVs, outdoor seating and indoor seating, and a dedicated Dodgers suite attendant to service your suite on game day. There’s nothing quite like Dodger baseball on a sunny evening in Los Angeles. In 2018 the Los Angeles Dodgers will look to repeat as NL West champions for the sixth consecutive year. It’s been one of the best stretches in franchise history, and 2018 will hopefully cap off this great run with a World Series championship. Dodger Stadium, located in the heart of the Chavez Ravine is one of baseball’s premier venues. 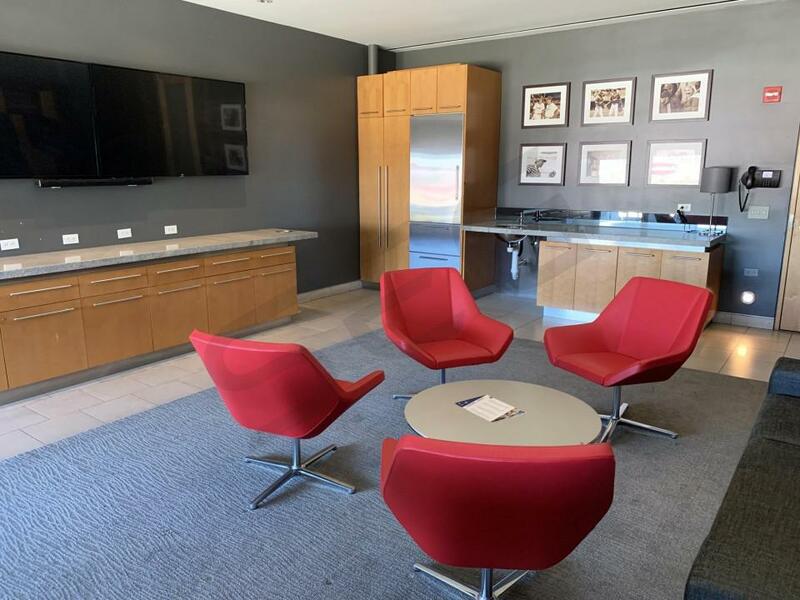 Dodgers suites at Dodger Stadium are the perfect place to spectate a game with your best clients, employees, family, or friends. 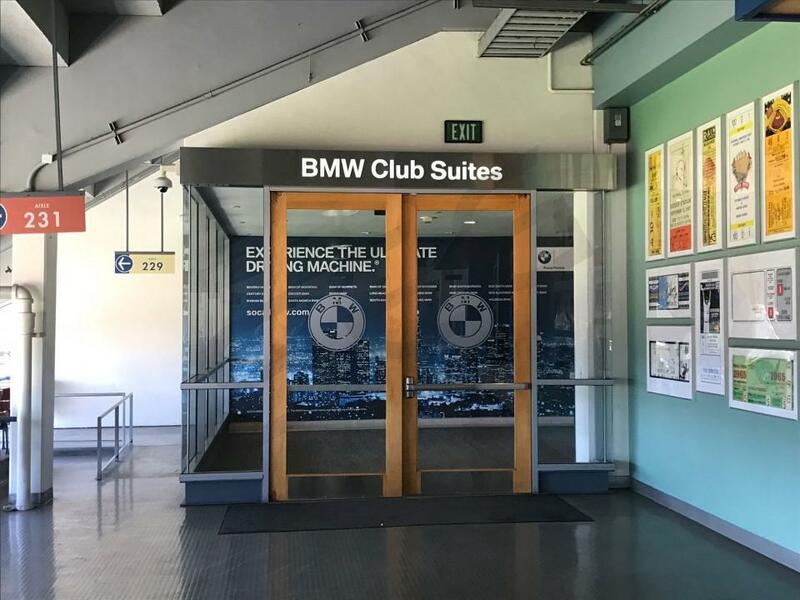 The BMW Club Suites include 20 or 30 tickets, 8 VIP parking passes, exclusive entrance into Dodger stadium and VIP access into stadium clubs. Your suite host can choose from a wide range of premium in-suite catering options. 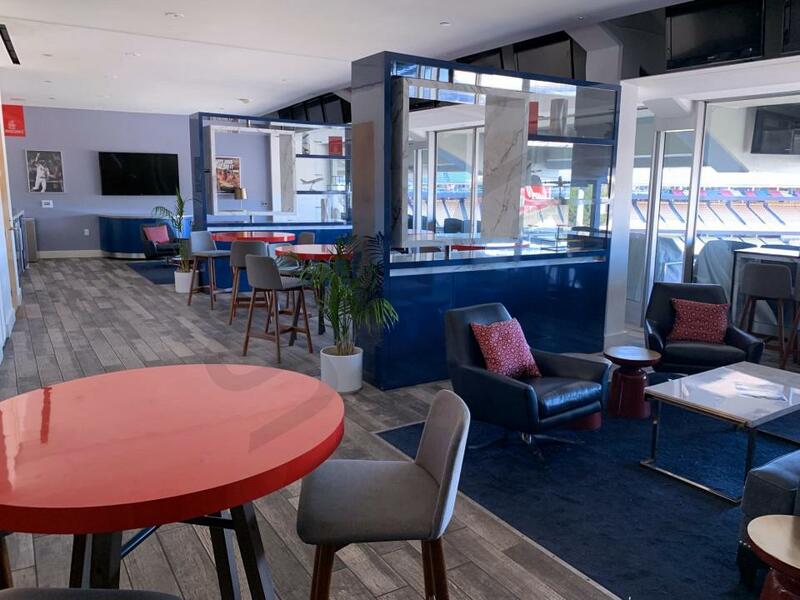 Inside the suite, you will have Wi-Fi, HDTVs, outdoor seating and indoor seating and a dedicated Dodgers suite attendant to help you on game day. The Dodgers have won the NL West each of the past four seasons. While they’ve been close, they haven’t reached the World Series in either one of those years. That’s where the 2017 Dodgers step in. Not many changes were made from last season but the Dodgers did add second baseman, Logan Forsythe. Forsythe is coming off a fantastic year with the Rays and will be the everyday second baseman in LA. While Clayton Kershaw spent time on the DL last season, Kershaw still was amazing. A healthy 2017 season for Kershaw may earn him another Cy Young Award. Rich Hill resigned with the Dodgers and is a strikeout machine. The rest of the rotation will feature Kenta Maeda, Scott Kazmir and Julio Urias. Urias is one of the brightest prospects in baseball. In the bullpen, the Dodgers resigned Kenley Jansen to be their closer. Offensively, Corey Seager has MVP potential in 2017. As a shortstop, Seager put up 26 home runs and drove in 105 runs in 2016. The Dodgers are hopeful Yasiel Puig can get off to a hot start. Puig has all the talent in the world but it’s just a matter of putting it all together over the course of a season. Manager Dave Roberts will have his hands full with Puig alone. Adrian Gonzalez and Justin Turner will be the big run producers on the team batting in the middle of the order. Behind the plate is Yasmani Grandal. In the outfield with Puig will be Joc Pederson and possibly a combination of Trayce Thompson and Andrew Toles. Offense: The defending National League West champions will look to defend their title in 2016 with a new manager at the helm. The Los Angeles Dodgers have replaced Don Mattingly for Dave Roberts. Offensively, the Dodgers will once again be one of the best teams in the National League. Top prospect Corey Seager will get his first full year with the big club. Seager came on strong late 2015 for the club. Yasiel Puig had himself an up and down year last season. Puig has plenty of talent, it will just come down to staying healthy. The Dodgers can always count on a productive season out Adrian Gonzalez. Gonzales led the Dodgers in home runs, RBIs and batting average in 2015. Joc Pederson proved he can hit the long ball but it was his strike outs that had the Dodgers concerned. If Pederson can stay more disciplined at the plate, he could have a big season. Rounding out the lineup is Justin Turner, Andre Ethier, Carl Crawford and Yasmani Grandal. Pitching: Roberts will have a tougher task at hand after the Dodgers lost out on bringing back Zack Greinke. Nevertheless, the Dodgers do have Clayton Kershaw leading their rotation. Kershaw is arguably the best pitcher in baseball and always a Cy Young candidate. To replace Greinke, the Dodgers signed Scott Kazmir. Kazmir will take over the number two slot behind Kershaw. The Dodgers also made a splash by signing Japanese pitcher Kenta Maeda during the offseason. The bullpen will be highlighted by long relief man Alex Wood and closer Kenley Jansen. Schedule: In 2016 the Dodgers will host the Milwaukee Brewers, Washington Nationals, Colorado Rockies, Baltimore Orioles, San Diego Padres, Tampa Bay Rays, Arizona Diamondbacks, Cincinatti Reds, Philadelphia Phillies, Pittsburg Pirates, San Francisco Giants, and Chicago Cubs. 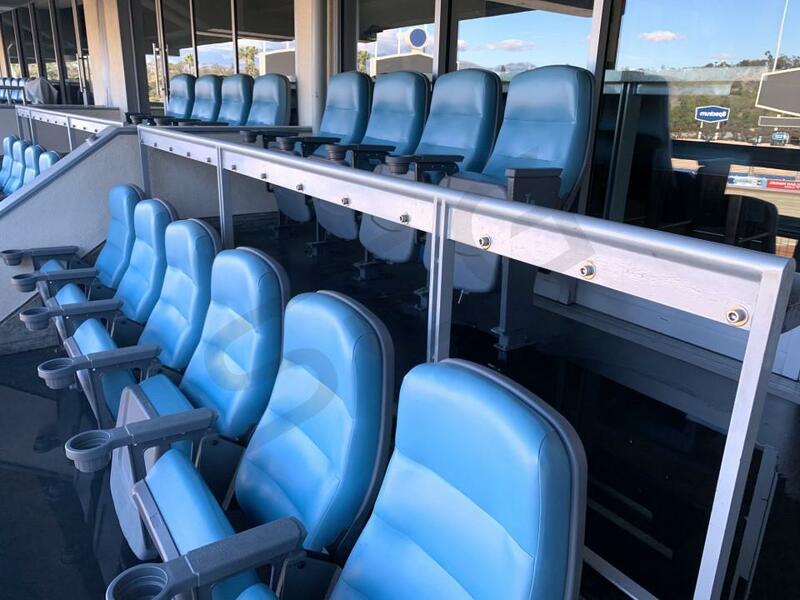 Suites and Special Events: Dodger Stadium is located in the heart of the Chavez Ravine in Los Angeles and is one of the best places to watch a baseball game in the MLB. Dodgers’ suites at Dodger Stadium are the perfect place to spectate a game with your best clients, employees, family, or friends. 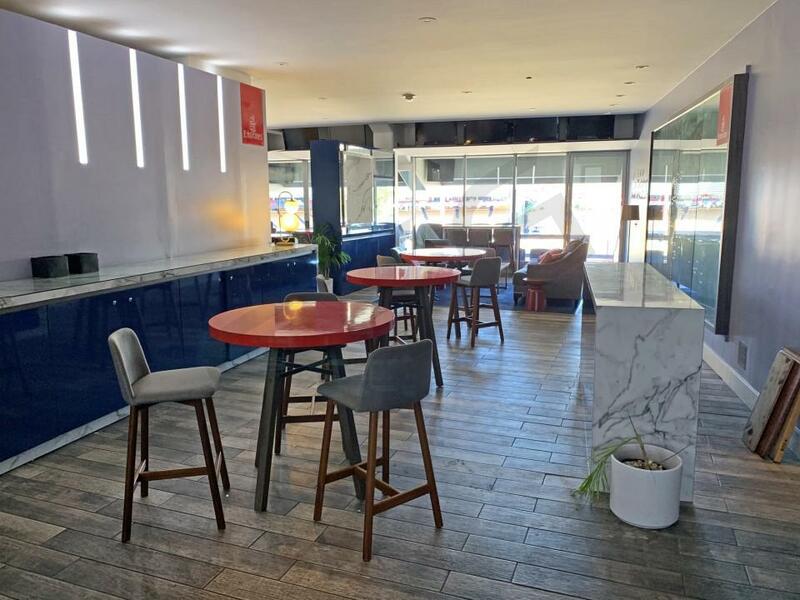 Los Angeles Dodgers suites include 20 to 30 tickets, VIP parking passes, exclusive entrance into the stadium and stadium clubs, dedicated suite attendant, in-catering options, premium indoor/outdoor seating, and HDTV’s. Chavez Ravine will also be hosting a Guns N Roses concert in August. The Los Angeles Dodgers won the National League West in 2014 but after losing in the playoffs, the team wasted no time in 2015 to improve their roster. The Dodgers’ front office decided a huge overhaul was in store. They started by trading away one of their star players, Matt Kemp. In return they received Yasmani Grandal, who will be an offensive upgrade at the catcher position for them. They also traded Dee Gordon and Hanley Ramirez and replaced them for veteran infielders Jimmy Rollins and Howie Kendrick. Manager Don Mattingly has said these moves help the Dodgers feel “more like a team.” It’s hard to improve on a 94 win season but the Dodgers believe they have put together a team to contend for a World Series title this season. With Kemp out of the picture, Yasiel Puig will start in right field. Carl Crawford, Andre Either and young star Joc Pederson will man the other two outfield spots. While the Dodgers offense is expected to be solid, their pitching staff remains their strength. Led by two Cy Young winners, Clayton Kershaw and Zack Greinke. Dodger Stadium is located in the heart of the Chavez Ravine in Los Angeles and is one of the best places to watch a baseball game in the MLB. Dodgers’ suites at Dodger Stadium are the perfect place to spectate a game with your best clients, employees, family, or friends. 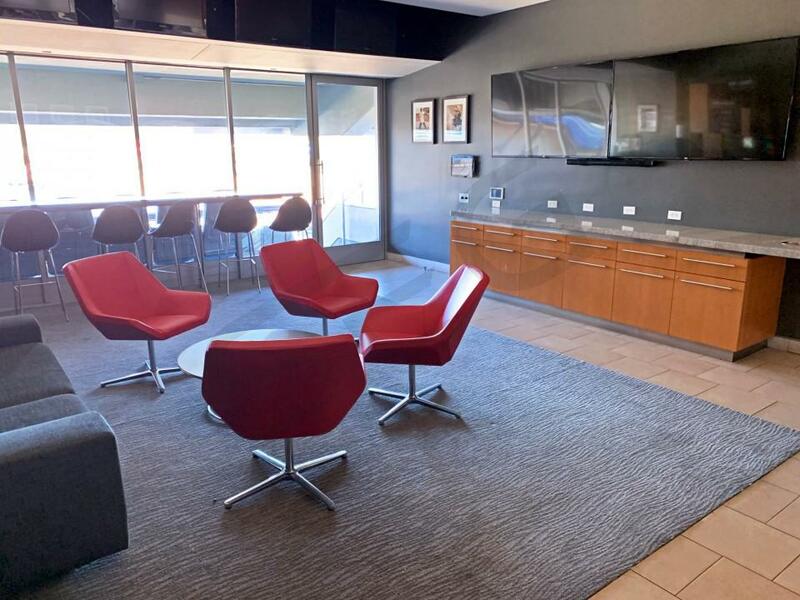 Los Angeles Dodgers suites include 20 tickets, VIP parking passes, exclusive entrance into the stadium and stadium clubs, dedicated suite attendant, in-catering options, premium indoor/outdoor seating, and HDTV’s. Thank you for signing up for specials at Dodger Stadium. Enter your email address below to stay in touch. We'll sign you up for our newsletter, which will inform you of the latest inventory and events at Dodger Stadium. We promise we will never sell or distribute your information. 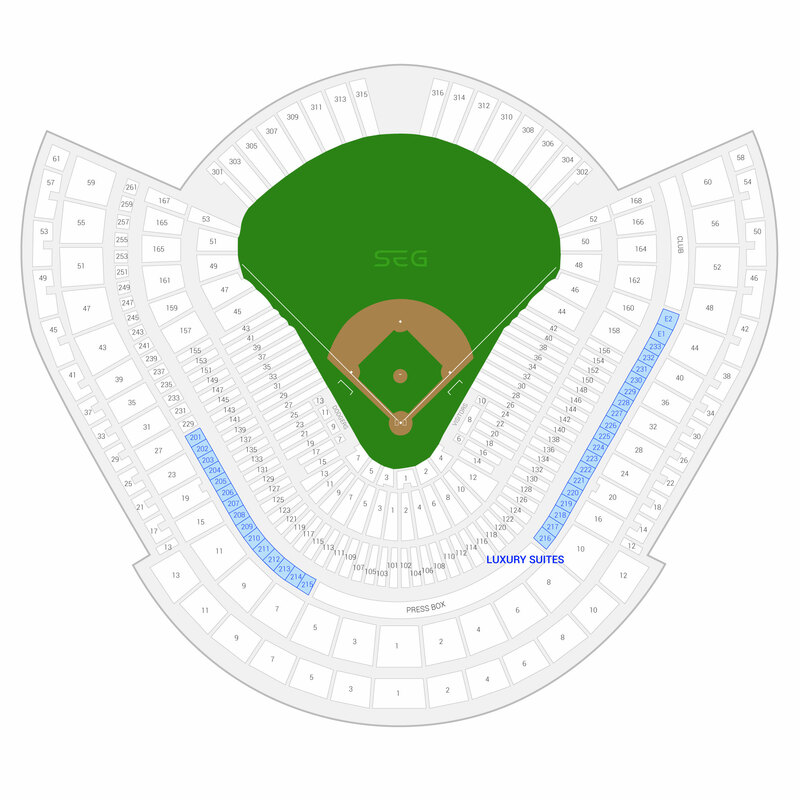 The seating chart below shows where the Los Angeles Dodgers suites at Dodger Stadium are located.